​Gateway HorseWorks relies on your involvement and generosity to extend these innovative, experiential services to people in need! Click the link below to make a contribution to the Gateway HorseWorks organization. If you are interested in supporting a specific program, please notate that on your check or in the "special instructions to the seller" field on PayPal. Thank you for your generosity! You are extending the healing power of horses to people in need! 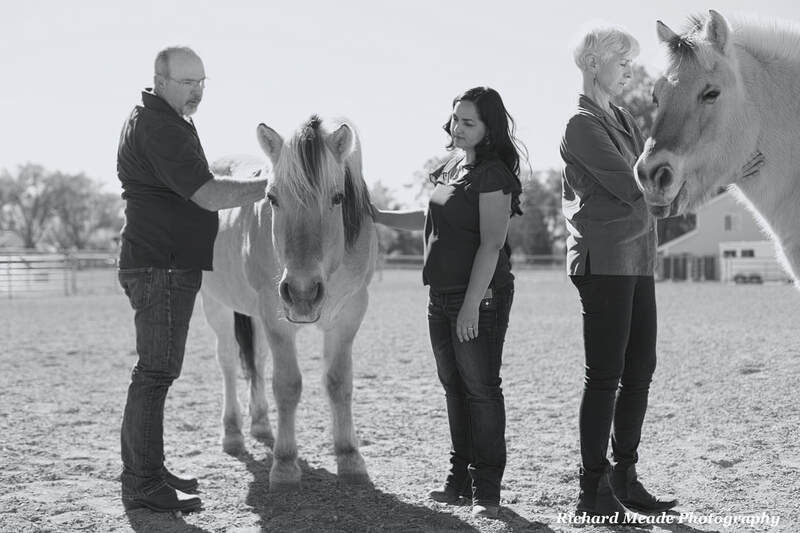 At Gateway HorseWorks, we incorporate horses for the mental health treatment of people. In order to provide a safe and private environment for our clients, we do not invite volunteers onto the farm while sessions are in progress. However, volunteers join us at the farm several times a year for special volunteer days. Corporate teams can also sign up for a service day on the farm. A day might include mending fences, cutting grass, planting a garden, and building a labyrinth while enjoying the company of our four-legged team members! We will be launching a regular, weekend volunteer program dedicated to horse care and barn maintenance. None of our volunteer programs require horse experience, and there are always year round opportunities for people who love to give back while enjoying the outdoors! If you are interested in volunteering, please fill out this form below. We look forward to welcoming you to the farm, and we are grateful for your ongoing commitment to our mission!